Business operates in a world of chaos, where relationship risk is ever present. 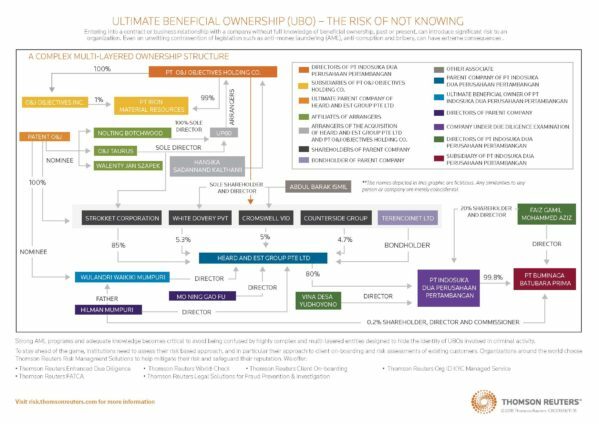 What’s the secret to understanding and identifying ultimate beneficial owners? The modern organization is an interconnected web of relationships and interactions that span traditional business boundaries. Complexity grows as these interconnected relationships and transactions layer themselves in intricacy. In this context, organizations struggle to identify and govern their relationships with a growing awareness that they can face reputation and economic disaster by establishing or maintaining the wrong business relationships. When questions of business practice, ethics, and corruption arise, the organization is held accountable for the actions of those who they do business with, and it must ensure adequate due diligence has been done to ensure it is doing business with the right individuals and organizations. This is particularly critical in the context of knowing the ultimate beneficial owner(UBO) in business relationships. The fragmented governance of relationships can lead organizations to . . . GRC 20/20 was engaged as a guest blogger for this thought piece. The full post can be read at the Inside Financial & Risk blog.